“Dear Mr. Arnold, it has been several months since I updated you with the progress made by my 7 year old son and me. 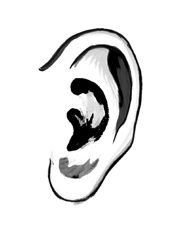 We started One Note Intermediate and Contextual Ear Training in late January 2010. We can both name all seven diatonic notes with accuracy and speed, and the non-diatonics are starting to stick. We can both sing 1, 2,3,4,5, and 7 and some 6’s. We are currently working on 6. Just last week, I was admitted into our church liturgical choir. Admittance is based on passage of quite a few skill tests, including sight reading 4 unfamiliar hymns, perfectly. Before I started your program, sight reading seemed an impossibility. During the sight reading test, I was singing a hymn in an unfamiliar key signature (I need more theory work) and I sang a 4 when I should have sang a 5 (having guessed at the key degree, but not the pitch). But, the very next note was a lower 6, and I jumped down to it solidly and continued on from there. The proctor commented how solid I was getting back on melody on the six. She said that in her experience once a person gets off, they have real trouble getting back on the melody. Of course you know why…jumping around based on interval distances has its drawbacks, but I knew what a 6 sounded like, so I was able to jump right to it, no matter what the distance! Kwe-kwe Bruce, just wanted to give some props to you about your ear training books. They’re pretty killer! I’m a Berklee grad and took tons of ear training classes and then about a year ago I started working on your method and so much hearing has opened up. I used to take private ear training lessons and not a single teacher has ever shared your info with me. So congrats and much health and success to you. Meegwetch! That’s great progress by Julie, I wish I could do the same! I’ve been listening to One Note intermediate each day since last August, at least three times a day, and while there has been some progress, (I can usually get C), it is frustratingly slow for me. I know you will tell me to listen more often! I have been slack in singing with the Fanatics Guide, I use a chromatic tuner to check my notes. This is one of the reasons I started this blog, to help folks as they climb up the ladder. I’m glad to hear the ear training is working for you. I also recommend starting to analyze songs you play or even old folk or pop songs so you commit them to memory referencing how they work within a key. This kind of secondary work will really solidify your ear training. Of course there’s a lot more you can do once you get into higher levels but I mention this now because of the misunderstandings students often have at this particular point. Thanks again for your note and keep up the good work! 1. Why am I not working on something I want as much as I should? 2. What other thoughts go through my head as I do the ear training? 3. Do I chastise myself because I think I should already be able to do this, and is this productive? These and other questions need to be dealt with in order to move into a better place that will allow your memory to work better. Remember this whole ear training thing is about memory on a physical level. You need to give your brain time to absorb the information and retain it in a relaxed, natural way, which it WILL DO. That’s why you hear me say “do it more.” and “do it throughout the day.” it’s also why I tell students to keep a positive attitude as they work with the ear training. There have been studies that show that negative thoughts tend to encourage memory inhibitors in your brain. This is just a self protection mechanism your mind uses to protect itself. So if you are swearing and getting bummed out every time you miss a note you are actually working against yourself. Not that I’m saying that’s exactly what you are doing that but it is a common problem I see, especially in older students. It’s a singing exercise you can do anywhere as long as you have an MP3 player. Hope this helps. Remember the more we discus this the better chance you will get a breakthrough. I guess I’m another “is there hope”-type story. I know the solution probably lies in getting started on the Fanatic’s Guide as well, but I’ve some resistance to that – most likely related to not being confident with my own voice. If there was a point to this comment, I may have lost it by now. Hmm. @Bruce, Thanks for the prompt reply Bruce. begin to doubt that I was getting anywhere. @Bruce, Hi Bruce, not sure why my previous post didn’t get through. I don’t get angry when I’m listening to the notes, but I did feel a bit discouraged to read about Julie’s progress compared to my own! I have not been using the Fanatics Guide as often as I should, but I use a chromatic tuner to check my note. I have to admit I have been singing scales rather than the one note. Sometimes you do need to feel you are not totally incompetent! I have Contextual Ear Training, but haven’t been using it because I felt I needed to progress more before using it. I’ll get it set up on my ipod and start. Thanks for your encouragement. I have come to study music rather late in life, but I’m still making progress, mainly with piano, as tendinitis in my left thumb has restricted my guitar practice. I usually recommend starting with the Intemediate level of the Ear Training One Note Complete As you noticed the beginning level is quite slow. This slowness is good for someone who has no previous experience with music. But if you know the names of the 12 pitches used in western music and understand some basic music theory then I think it’s best to start with the intermediate level. First I have to tell you that stopping doing the ear training even for a few days when your at your level is really bad. Remember as you listen your mind is slowly starting to remember what these notes sound like. Initially this is in your short term memory but over time it will go into your permanent memory. If you stop for awhile all that is lost and you are basically starting over. The Fanatic’s Guide is important too because it makes you generate the sound from within yourself. This usually strengthens the recognition and memory of each pitch. If you commute or have downtime away from home each day I highly recommend working with the Contextual Ear Training Since I’ve put out this book last year I’ve seen amazing progress with students. This is because they can do this type of singing anywhere and that’s the key. You have to keep these sounds in your short term memory as much as possible. Only then will your permanent memory begin to remember the sounds. Remember I’ve never had a student that didn’t get this ear training. I’ve had students take 4 years of hard work to get it but that’s not usually the case. Myself it took 1 and 1/2 years of hard work. But believe me it’s worth it. You will hear music in a completely different way and you will play much more musical. Give my recommendations a try and get back to me. It is possible that you are doing something wrong. Can you give a complete blow by blow of what goes on when you do the ear training? Really monitor what goes on in your mind and let me know. Once you really monitor your process you find little things that should be there. Remember whether listening or singing you want to respond with the first thing that comes into your mind. Do not ponder the answer that only builds up bad habits. Remember we need to use this ear training in real time as music is going by there is no time to think about the note you just have to respond. Chromatic tuner is fine to use but again as I told Tomas using the Contextual Ear Training gives you the answer so it’s much more efficient and allows you to do this ear training anywhere. If you get the Contextual Ear Training Here is how I would beginning to work with it. By the way the digital download of this is much better way to go because the tracks are already named correctly. If you go for the physical CD/book version you have to rename all the tracks. Not the end of the world but it takes time that you could be spending doing ear training. Put the ipod on shuffle play and when you are asked to sing the “1” sing the 1st thing that comes into your head. If you get it wrong repeat the track a few times until you get it right. Do this 10X a day for 10 minutes. Please not when putting in the 3rd put in the major 3rds for the major keys and the minor 3rds for the minor keys. At your level I don’t think singing scales is a great thing to do. People tend to start hearing the scale as a little melody rather that concentrating on the sound of each note. Also if you make me a video of you playing a scale I might be able to fix that left thumb problem. Just send it to me in an email for now. I may try to get a way to post these to the blog because I think it would help everyone. Doesn’t have to be a long video just 15 to seconds of you playing a scale. Thanks for your replies Bruce. I can’t see my replies to your posts on the screen, on either a Mac or a PC. New posts show up ok. I have thought about my One Note listening. I generally listen to the whole cd while driving to work and again while coming home. It’s a quiet freeway drive in South Australia, so not too much distraction! Plus I listen to 25 or so tracks before I go to sleep at night. A lot of the time I’m “half listening”, not really concentrating. Sometimes I will find I have correctly named 5 or 6 tracks in a row like this, then when I start to concentrate, I can’t get them right. I say the first note that comes into my head after the cadence, usually without trying to “get it right”, and don’t get impatient or angry. In all honesty, I realise I’m not really following your directions, especially the amount of time I’m spending is not optimum. Also, I can distinguish some notes more often than random chance, eg B and C#, although I often mix them up, so things are not really as bad as I made out originally! I will increase my listening in line with your recommendations, and also follow the singing suggestions, and report back. This encouragement is great, your time is much appreciated. Forgot to mention, I’ll send a video of me playing scales, (and bar chords, which is what set off the tendinitis). Seeing your posts now. First let me say that any type of listening is better than none. Even though you are half listening your mind is still registering the notes and the fact that you get more right when you just guess by the seat of your pants is also common. A lot of people think they have to think deeply about the note they are hearing. Problem with that is thinking deeply takes time. You are much better off to blurt out the first thing that comes to mind. Remember you need to use this ear training in real time as you are playing or listening to music you can’t be thinking about it too long. One other thing. If you are listening twice a day for X amount of time and you don’t like your progress you need to step up the amount of times you listen each day. Your mind is telling you it needs to hear these sounds more to remember them correctly. If you can find some time even 5 minutes at lunch time to listen it may make all the difference. I was wondering (after one goes through the Fanatic’s Guide and has the one note technique down to a science) if there is any advantage whatsoever to singing melodic/harmonic sequences (using solfege) without first pre-hearing the individual pitches. I know of many choral students who are able to do this quite well even with complex passages and sonorities, and to be honest it frustrates me that I am restricted to singing only those pitches that I am able to hear in my mind first. Should I keep on fighting the good fight and not deviate from what you’ve taught me or is there perhaps something to be gained in singing these melodies without first pre-hearing the individual pitches (I recently purchased a big book of graded melodies and hope to memorize them)? … so it appears that most of the so-called pedagogically sound ear training software out there is based on the interval method, and has the student learning all the intervals before tackling basic melodies. In theory this sounds reasonable enough, but then the next exercise on the list is chord progression ear training (usually in four parts), and this appears to be (of course) the pedagogically sound arrangement in most of the software I’ve encountered (including MacGAMUT, which has victimized enough people with its pedagogical soundness to be renamed ‘Satan’ by many of its users). Now, just as forcing those who have barely mastered even the basics of algebra to take up calculus would certainly not make for a very good math program, neither would forcing a similar such leap upon aspirant musicians make for a very good music program. After all, if one cannot adequately discern the function of even a single pitch, then how can one be expected to discern the individual (and collective) functions of multiple pitches played simultaneously (… and in rapid succession at that)?! Unfortunately, this is exactly what the developers of such software programs expect us to do, and it really makes me question if they even know what they’re doing — is there any software out there that you could possibly recommend? No wonder (Classical students especially) are so desperate for perfect pitch when the RP methods are so bad! Just a quick note to say that I have upped my listening time drastically, by setting a goal to listen for 5 minutes, and sing for 5 minutes, in each hour. That is obviously impossible to achieve around work and family life, but it is surprising the odd times that are available when you look for them! I have set up the Contextual Ear Training as you suggested, and use either it or Fanatics Guide plus a tuner. The two methods give a very different experience. There has been noticeable progress even in such a short time, so I feel very positive. The challenge will be to maintain the work rate when progress stalls. What do you mean by putting in the major 3rd for major keys and minor 3rds for the minor keys? I have the CD set. When I loaded up my MP3, I loaded up every track wherein you said, “sing 3.” The first minor cadence is on disc 3. “Sing 3” is on track 5. The cadence sounds like C minor triad, BDF, C minor triad, and the check note sounds like E (the same check note as the C major cadence of disc 1, track 5). Of course it’s best to start with easy material so hopefully you can select those pieces first. 1. No personal interaction with the author/designer. 2. Geared towards interval training. 3. “One size fits all” structure. 4. Very little direction or instruction on how students should progress based on their ability. 5. No additional direct application assignments to help you apply your ear training to real-time musical situations. All this really brings up the idea of self-perception. We all have a given level of self-perception at any point in our life. Unfortunately many students, especially younger students, think that their perception of what they need or what they should work on musically is correct without going out of their comfort zones to make sure. This leads many down the wrong path which can cause great harm or prevent improvement in certain areas of study. I spend too much of my time in lessons and on the internet UNDOING the damage that this causes. I’m trying to change people’s perception so they can move forward with their musical studies to a higher plain. After almost two years working on One Note ear training, I finally get to the point of 85%-90% correct on One Note Advanced. While starting to listen to Key Note Recognition, I keep all those singing exercises and also One Note training. I have some more questions about how and what to practice within my daily 2-3 hours of ear training, and hope you can help me organize it. I start to use Direct Application mp3s more recently because it really helps me to find out my weakness of One Note training. Right now I only use them with C major chord vamp. Do you suggest me using Direct Application mp3s with other key, or I should just focus on key of C major right now? Do you suggest me to learn singing harmony using “Lines” book now? I’m thinking doing those exercises, singing one voice while playing another voice on bass (I’m a electric bassist). Also, do you suggest me get “Three Note Ear Training Direct Application with Arpeggiation” and start working on it? Or perhaps I should wait until I improve with Key Note Recognition? Good for you. This is exactly the kind of positive outcomes that I want to see from the interaction on this blog. Keep us informed about your progress. You put all 12 keys of major and minor in one play list. But you are trying to sing a Major 3rd over a minor tonality. This is usually harder but for a 7 year old it might not actually be any harder. Typically students of this ear training method have 2 or 3 times as many years of hearing music so their perception is skewed towards a minor 3rd in a minor key because that is what commonly happens in the music we listen to. Hope that helps you understand the situation. Congratulations on on reaching 90% on the one note. Two years of hard work have paid off. Now you should work on Key Note Recognition while also reviewing a few times a week the Advanced audio files from the Ear Training One Complete I would also continue with the Contextual Ear Training those files are always a good thing to do as you walk around or commute. If you haven’t already started the Blues singing exercise on page 17 in the Fanatic’s Guide I would start that and over time use all 2 note combinations through the progression. The Lines Volume One: Sight Reading and Sight Singing Exercises book singing can be tricky because you can modulate on the bridge but see how it goes. Now that you have better recognition you should know whether you are modulating because the notes will not sounds as you think they should. You can always just do the “A” sections of each exercise and as long as you don’t do it too slow you will be fine. You can surely start applying the Direct Application mp3s to other keys. You can even add in Minor 7th chord vamps. When THE VOICE says “Sing 3” we are singing the major third on all the major chords and all the minor chords. As long as that is the right thing to do, I am happy and no longer confused. Oh, I think I just got it! We learned to sing the major third in the minor tonalities, BECAUSE I loaded up the “Sing 3s” in the minor chords, but I could have loaded up the “sing flat 3s” for the minor chords, and it would have been easier (probably)! So, eventually we will be learning to “sing flat 3” over a major tonality and over a minor tonality. We just learned it in a slightly different order, but what we learned is correct. A person needs to be able to “sing 3” and/or “sing flat 3”, in both major and minor tonalities, as required by the notes on the staff. I think this explains why learning to “sing 3” took longer for me than any of the other degrees, but my son learned it just as fast as any other degree. Because as you said above, I have years of perception leaning toward a minor third over a minor tonality and he does not. This is great stuff! Thank you so much for your help. For me, Contextual Ear Training is a “must have” and so is the Fanatics Guide. I have both book/CD sets and I utilize them both. I am so glad to have the immediate feedback and ease of use that Contextual provides. I am also glad to have the Fanatics CD. I use the chord drones from the Fanatics CD any time I am learning to sing a new piece of music. The chord drone really helps me sing the right note and stay on key. I am also looking forward to being a “Contextual Graduate” and moving forward in the Fanatics book. I am about a week into One Note Complete and Fanatic Guide and I just picked up Rhythm Primer. I have been “at music” for 10 months now — singing and piano. I picked up your books because I have a “bad ear” and because I wanted a stronger mental framework and to better know where I am while I sing. My goal is to be able to sing (not play piano) live, pre-rehearsed, original dance-pop music (Lady Gaga genre if that helps, ~120bpm), non-improvisationally. I have pretty much unlimited free time. I’d say I test as a beginner at one note and fanatic’s. – Fanatics guide (sing) for 10 minutes in one key, chromatic scale, 50 seconds per note (have beep-timer). I am bad at pre-hearing but I have very strong ghost images, so I figure it will come with time. I chose this setup because I like the idea of after say 10 weeks, I’ll have worked on EACH note for 10 weeks rather than just the primary diatonic notes that I’ve already interacted with since I’ve started. I repeat this as many times a day as I can, so minus sleeping, eating, and showering I get in about 10-12 hours of practice a day. With good sleep, nutrition, and exercise I have pretty decent concentration most of the time. However, I have two monitors to my computer and to make this method a sustainable lifestyle I often, but not always, will browse the internet with the other monitor or watch a TV show (with closed captioning) while doing the exercises. This means some of the time I’m kind of half listening to the one note, while other times yeah it has all my attention. My theory was that it’s best to just completely saturate my brain in the material throughout the day. 2. Given my specific goals (basically do pre-rehearsed, live gigs, in the dance-pop genre) and importantly enough, my personality, as it’s conveyed through this email, is this method (one note/fanatics/rhythm primer, eventually key note/two note/big metronome) right for me? 3. I think your answer to my next question would be: “It takes however long it takes, at least a few years, it’s a life-long pursuit,” but my family and friends ask me, when are we going to get to see you perform? And obviously, I’m just as eager to get out of the house and give them an enjoyable performance. Of course I have to manage expectations, my own and those of the people around me. And I understand that the energy and enthusiasm I have is a double edged sword. But if you could advise me on how I could do my part properly/efficiently so that I can get out there and play decently well no longer than necessary, it would be much appreciated!! Thanks for all the help and the work you put into teaching. Have itunes playlist for each of the 12 notes. Practice each note playlist for 5 minutes (using CET), after the 6th playlist, do the one note listening exercise for 5 minutes. Then do the final 6 playlists followed by the one note listening exercise for 5 minutes. Rinse and repeat. Oh yeah, and throughout pretty much the whole day I have a big metronome track playing and I’m tapping my foot. It helps me to mentally say, oh yeah, stay on beat/be aware of time. I really like CET and think it should be advertised more! I have a quick question: I’m going to India for three weeks, and it’s looking like for a variety of reasons I won’t be able to bring a guitar with me. I’m planning to keep practicing ear training, but besides that, do you have any suggestions for how to keep in practice as much as possible without actually playing a guitar? Thanks for writing in. There is a lot you can do without your instrument to improve your playing skills and basic musicianship. Most jazz and rock musicians don’t realize that mental practicing is one of the most successful ways of improve ability, but it’s quite common in the classical world. I did a tour with a classical orchestra a while back and most of the musicians were learning their parts on the plane on the way to the gig. It was in Australia so they had plenty of time (we were coming from NYC). There was also a study done in Russia many years ago where they had two groups of people that had never played basketball and had one group lie down at the free throw line and imagine they were throwing free throw baskets and then had the other group actually practice throwing free throw baskets. They then tested the two groups. The people that imagined throwing the free throw baskets scored much higher than the people that actually physically practiced the free throws! I could really write an entire book about this but let me give you some examples of how you could apply mental practicing to various exercises found in my books. BTW, Mental practicing is exhausting if you have never done it before. So you want to start out with only a few minutes and build up your stamina. If you want to practice the scales found in the New York Guitar Method Volume One. I would imagine the guitar fretboard in your mind and play up each scale in every position. I used to do this when I went to school at Berklee College of Music. They had two buildings that I walked back and forth between. For each step I took I would imagine the next note in the scale. If you are doing this kind of practicing at home you can also use a metronome to force yourself to get to every note in your mind within a given amount of time. It will also help if you hear each note in your head so if you are playing a C major scale and starting on “F” then try to hear this note as the 4th degree of the key center. You also should consider your picking as you work on scales in this fashion. It’s not too difficult when you are just playing alternate picking using a scale with 3 notes on every string. But if you are doing more advanced exercises like the Two Note Sequencing for 22 Modes in all Keys for all instruments the picking can become quite involved. I would first start with some easy scale studies and build up to these more involved exercises. Rhythm is another thing that I’ve spent a lot of time working with mentally. If you take a book like Rhythms Volume One. there are quite a few different ways you can use mental practicing. First you could just read the rhythms either by tapping each rhythm, singing each rhythm or just hearing each rhythm in your head. Again a metronome will help to make sure you aren’t slowing down or speeding up. You could also use the Big Metronome if you are a more advanced player. When using the Big Metronome you would start with a two measure click and try to feel the time and insert the rhythm from the book. Obviously you have to be able to hear in your mind what the two bar rhythm sounds like but this is an excellent way to improve your rhythmic skills. I hope this all helps you understand the immense power of mental practicing. It’s the best solution for musicians who are short on time or can’t have their instrument on hand every time they want to practice. Keep in touch and let me know your progress. Just checking in to report my progress. I was dissatisfied with my progress after starting One Note in August 2009, but I wasn’t really listening often enough. In the last three weeks, I have been trying to listen for 5 minutes every hour and sing for 5 minutes every hour. In reality, I listen 4 or 5 times a day, and sing about as often. There is a definite correlation between frequency of working and results. That old short term memory works better if it is activated frequently. I struggled at first with the singing, mainly Contextual Ear training singing root for each key, but it is gradually falling into place. The ability to pre hear is elusive, but when it happens, it is very easy to sing the right note. Using Fanatics Guide seems a bit easier, but I like the results from using Contextual Ear training. My ability to sing on key seems to be improving out of all proportion to my progress in the exercises. As someone with no musical background, who couldn’t match pitch to save my life a couple of years ago, I am very happy with the progress so far. Thanks for checking in I think it helps others when they see what everyone is doing and the effect it has on their ability. Keep it up, it’s all about finding the correct amount of time to work on these techniques to see progress. Also remember that the amount of time needed may change over time to be more or even less in some cases. @Bruce, Checking in again with a progress report. I have not really kept up with the amount of listening and singing that I had intended, but I am still doing more than I was previously. Other things begin to take priority, because they are more immediate, so it is important for me to step back from time to time and re-commit to long term development. I guess this is a common problem for most people. With the listening, I have occasional sessions where I get 50% or more right. This is rare, and usually the next session seems to take me back to square one, but it is definitely a sign of progress. I mostly feel as if I recognise the note but can’t find the right name for it. Presumably there are neuronal connections being formed in my brain that will allow that conscious recognition to occur. Some days I just don’t have a clue what the note is! The singing is slowly progressing. I’m still on 3 and flat3. It seems to be easier to recognise the right note once I’ve stumbled over it than to pre-hear it in my mind.